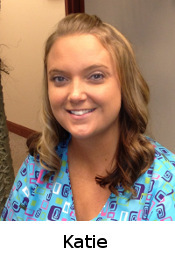 Katie - Chiropractic Assistant - She assists the Doctor during patient care and assists patients with therapy, as well as being very knowledgeable about Decompression Therapy. She can also help you out with any insurance related questions or concerns. Vicki, LMT - specializes in Deep Tissue massage, Muscle Energy Techniques, and Therapeutic Relaxing Massage. 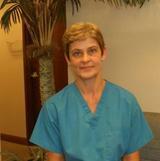 She is also certified in Pregnancy Massage, Reflexology, and Acupressure. 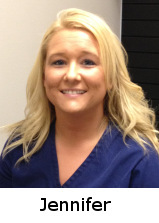 Jennifer, LMT - specializes in Deep Tissue massage, Sports and Repetitive motion injuries, Pregnancy massage, and Nerve Entrapment and Therapeutic Relaxation massages.